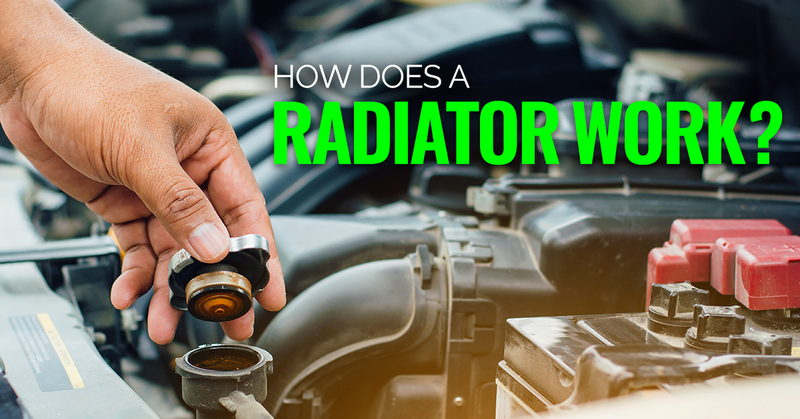 There are all kinds of radiators, but the most common is probably the one inside your car. Your vehicle’s radiator is a crucial part of keeping your car running smoothly and safely. The main purpose of the radiator is to keep your car’s engine cool while it is operating even in the extreme temperatures under the hood. Without the radiator, your car would quickly overheat and cause lasting damage to the engine and its components. If you are worried about the condition of your vehicle and its radiator, here are a few things that you should remember while operating your vehicle. Your engine’s cooling system centers around the radiator. A car’s engine generates a great deal of heat during the combustion process. That means it needs to be cooled constantly. Otherwise, the pistons inside the engine could seize up and snap in half, or a head gasket could blow. The engine tries to keep itself cool in different ways. The exhaust system diverts heat through pipes from the engine bay into the atmosphere while oil lubricates the engine to reduce friction and heat. When these two portions of the cooling system fail to cool the engine enough, a thermostat near the front of the engine triggers the release of radiator fluid (water and coolant) that is held in the radiator. This radiator fluid travels past the hottest parts of the engine and collects heat, then travels back to the radiator. The radiator’s ample surface area allows the heat that the coolant collected to dissipate. This keeps the radiator fluid for another trip through the engine. As your vehicle ages, issues can come up that cause your cooling system to stop working properly. It’s always a good idea to check the dials on your dash to determine if your engine is getting too warm. If you suspect that your engine might be overheating, roll your windows down and turn off your air conditioning. If your engine continues to rise in temperature, pull over and pop the hood to help cool it down. Once your vehicle is safe to drive, try to get it to a certified technician for diagnosis and repair as quickly as possible. Replacing a radiator or another part of the vehicle’s cooling system can be expensive, but it’s worth it in the long run. After all, a new engine is a lot more expensive than a new radiator. For more tips on how to keep your car from overheating this summer, check this blog post. If you’d like to get a free repair quote from the professionals at Action Gator Tire, just click here!